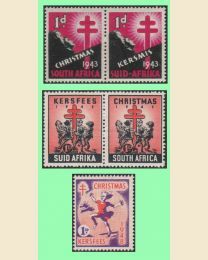 Christmas Seals have been sold around the world for over a century, raising funds to fight tuberculosis, lung cancer and other lung-related diseases. 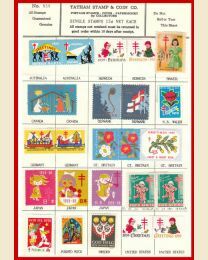 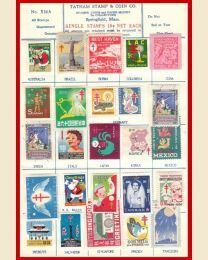 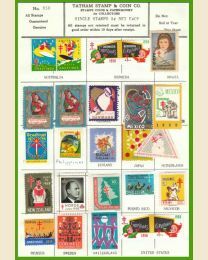 Their colorful holiday-themed designs have made them the most popular stamps not intended to pay postage. 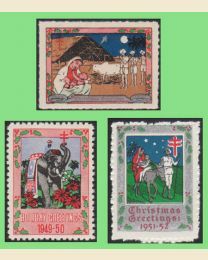 Check out our colorful selections of rarely-seen worldwide Christmas Seal sheets.